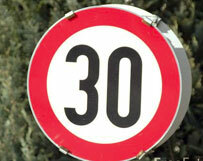 Last week I published 30 Lessons Learned in 30 Years to celebrate my 30th birthday. Within the post, I offered a challenge for readers to submit their own lessons learned. Here they are. Thanks to my wife Tillie, Justin Dandoy, Sparky Reardon and Don Bennie for submitting lessons. Great stuff. Appreciate the insights and would have to agree on all accounts. However, the dog references surprise me a bit. I don’t think Lex would agree taht you can’t trust her when she’s smiling or that if you lie with her, you’ll be flea infested! 🙂 Great posts, brother! Wonderful website you made here, woerfdnul topic and its certain definitely something many folks would certainly like discussing Im sure a number of other folks trust me, so continue posting! How do you make this site look this sick. Email me if you can and share your wisdom. Id be appreciative!